During these past several months of unconscionable actions committed by political leaders and others here and abroad, I’ve found myself turning for solace to Seamus Heaney’s “From the Republic of Conscience.” Unlike Dante’s Virgil, who guides him on a terrifying excursion through an underworld where all hope is abandoned, Heaney’s narrator invites the reader to accompany him to a land characterized by hope and where culture, customs and civic institutions are determined not by whim or arbitrary justice but by the human conscience. It’s a sanctuary where after the narrator has landed and the plane’s engines have stopped, he “could hear a curlew high above the runway,” a water bird that symbolizes a new beginning. 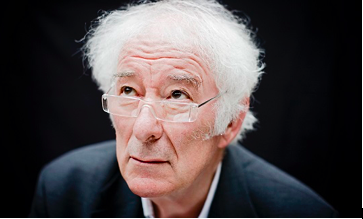 As I stood in a synagogue recently in ritual atonement for ethical violations both individual and collective, I read not the traditional Amidah – a silent recitation of petitions and praise – but Heaney’s poem. I had tucked it into my prayer book to remind myself that I was a “dual citizen” of both The Republic of Conscience and my own troubled nation. And as a poet and writer, I adopted as my own “sacred symbol” Heaney’s “stylized boat” made from an ear, a pen and a mouth and so that as I ventured out into the fraught waters of human experience, I would do so with an “open eye” and my conscience as my keel. Seamus Heaney was born in County Derry in Northern Ireland. Death of a Naturalist, his first collection of poems, appeared in 1966, and was followed by poetry, criticism and translations which established him as the leading poet of his generation. In 1995 he was awarded the Nobel Prize in Literature, and twice won the Whitbread Book of the Years, for The Spirit Level (1996) and Beowulf (1999). Stepping Stones, a book of interviews conducted by Dennis O’Driscoll, appeared in 2008; Human Chain, Heaney’s last volume of poems, was awarded the 2010 Forward Prize for Best Collection. He died in 2013. As the former Executive Director of The Writer’s Center in Bethesda, MD, Stewart Moss helped establish creative writing programs for adult immigrants in the Washington, DC metro area, and for members of the military recovering from neurological and psychological trauma. An essay of his is included in Retire the Colors: Veterans & Civilians on Iraq & Afghanistan (Hudson Whitman/Excelsior College Press, 2016) and his poetry has been published in Origins Literary Journal. He has also been featured in “The Poet and the Poem” podcasts at The Library of Congress. A native of Boston, MA, Moss resides in Annapolis, MD. That is a tonic, no? And a call, a spectral votive, a velveteen church-bell. And now for a bit of public relations. 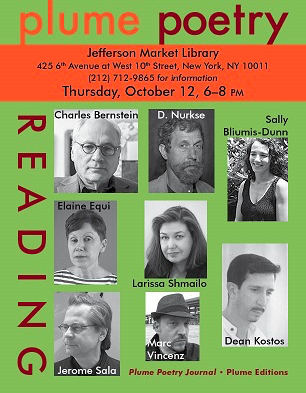 Plume will be hosting a reading this month, 12 October, at the lovely Jefferson Market Library in NYC. Many thanks to Frank Collerius of that fine institution for allowing us in and wrangling what must be some serious paperwork, and the poets who will be reading: Charles Bernstein, Larissa Shmailo, D. Nurkse, Elaine Equi, Jerome Sala, Dean Kostos, Sally Bliumis-Dunn, and Marc Vincenz. If you’re in the neighborhood, drop by – that’s quite a roster! Also, Plume will become part of the (indoor!) Bryant Park Winter Series; our date is Tuesday, January 16, 2018, at 6 pm. As I think about this now, it seems as good a time and place as any to ask those who might be interested in reading to contact me at plumepoetry@gmail.com to let me know. According to the kind and generous Paul Romero, “The reading should include four poets and each poet must have at least one collection of poetry published. Each poet reads for 15 to 20 minutes.” I’ll keep a sharp eye on my inbox. Next up, though tentative at the moment, another Plume reading in Cambridge, at MIT, in early 2018, I hope. That date and roster TBA. Our cover art this month is from Laurie Simmons – to whom we return after …some time: Ms. Simmons’ work graced the covers of issues 7-12 of Plume. 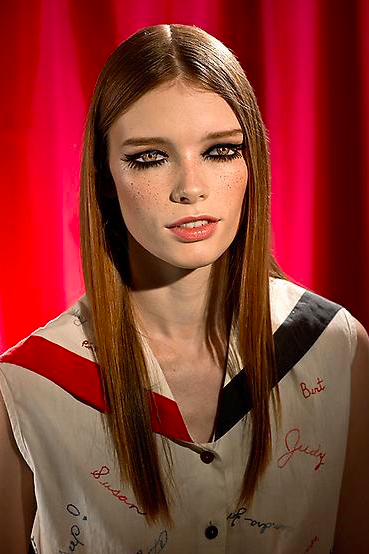 Accomplished as she is, a thoroughgoing bio note would consume more space than we have here — so, in (very) brief, from Artspace: Using dolls, dollhouses, dummies, and figures cut from magazines, Laurie Simmons constructs and photographs voyeuristic scenes of dreamlike distortions that challenge sensory perceptions. Working as a filmmaker, she made The Music of Regret, a mini-musical in three acts in 2006. It premiered at MoMA and featured musicians, professional puppeteers, Alvin Ailey dancers, and actress Meryl Streep. More recently, Simmons played a fictional mother in her daughter Lena Dunham’s film Tiny Furniture. She has received numerous awards, including the Roy Lichtenstein Residency in Visual Arts at the American Academy in Rome, John Simon Guggenheim Memorial Foundation Fellowship, and the National Endowment for the Arts.